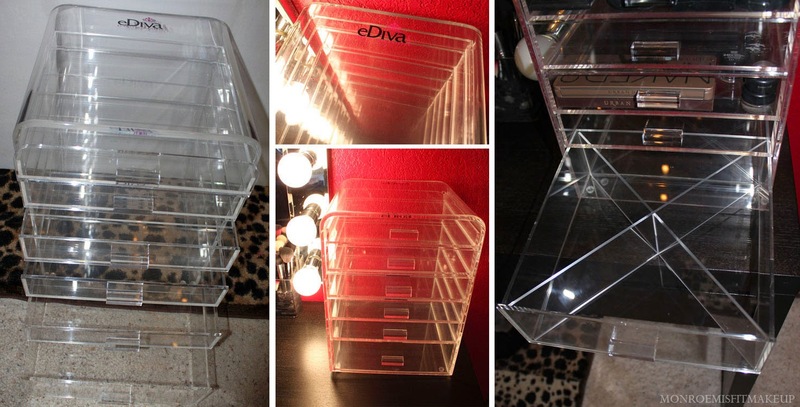 The eDiva Princess Clear Acrylic Makeup Organizer w/ 6 Drawers is made of heavy duty clear acrylic standing 12 inches wide and 16 inches high with 6 individual drawers. They also make a eDutchess which is slightly smaller at 10x12 with 5 drawers. The unit itself is very sturdy, made of the highest grade acrylic, and is easily cleaned by wiping down. 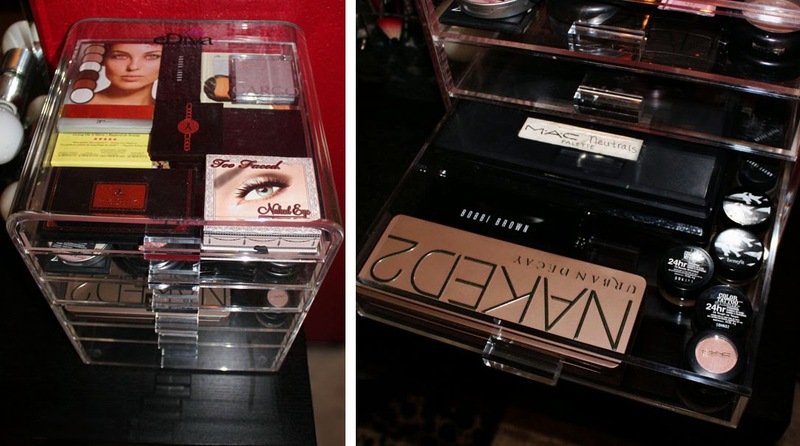 Each compartment is deep letting you stack and store a considerable amount of makeup in them. The bottom drawer is the deepest with a 4" height. The drawers also pull out all the way so nothing gets forgotten in the back. Pictures don't really do this justice. It's a beautiful clear glass like unit that's very well constructed. It's really heavy too! The solid construction mean no matter how much weight goes in, it won't bow or break down. Also included are optional X dividers that you can place in each drawer for even more super organization. I was able to put 15-20 random eyeshadow and face palette's in to the smallest top drawer. You can also double stack quite a few large eyeshadow palette's. I keep my MAC shadow's and blushes depotted in 28 pan palette's and I was able to fit 4 large palette's stacked on top of each other. 10 gel liners/cream shadows go back in one row, and MAC eyeshadow pots can be stacked double. 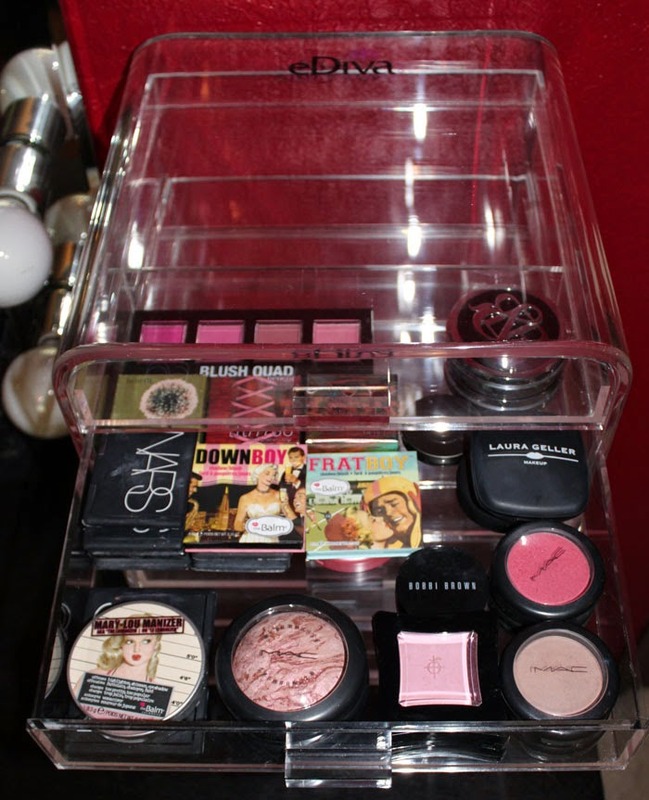 You could put a hundred+ individual eyeshadow pots or pigments in one drawer easily. MAC Blushes can be doubled up on. 4 Nars blushes, 2 Illamasqua, 4 Tarte all can be stacked. An estimate anywhere from 20-40 large blushes would fit in one drawer. 20-30 different Foundations, Concealers, and Powder's with out stacking. The drawer I like to pull out most! The False Lashes. I really disliked having my lashes stored in tupperware. I placed my most loved in here and was able to fit 75 lash sets. Ardell can be doubled, Red Cherry & Bullseye were able to fit 5 stacked on top of eachother, and all Illamasqua, MAC, & MUFE boxes work standing up. 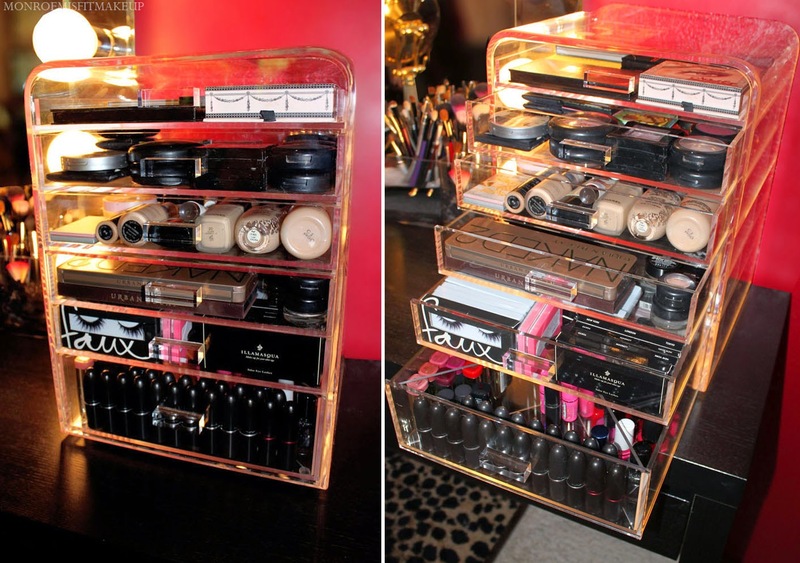 I would love one of these organizers just for lashes! Yes, I could fill every drawer up embarrasingly enough. It holds a ton of Lipstick's! I got tired of putting stuff in by the last drawer and called it a day! Over 120 MAC Lipstick's can be doubled stacked just in one of the smaller drawers and many stand freely in the bottom drawer. It likely will hold 150 if not more lip products. If you're not a lip girl, Nail Polishes are what the bottom drawer is actually made for. Even taller bottles like China Glaze and OPI have no problem fitting. Downside...the price! It's a pretty penny at $297. However, you can get it on Amazon right now for $30 cheaper. 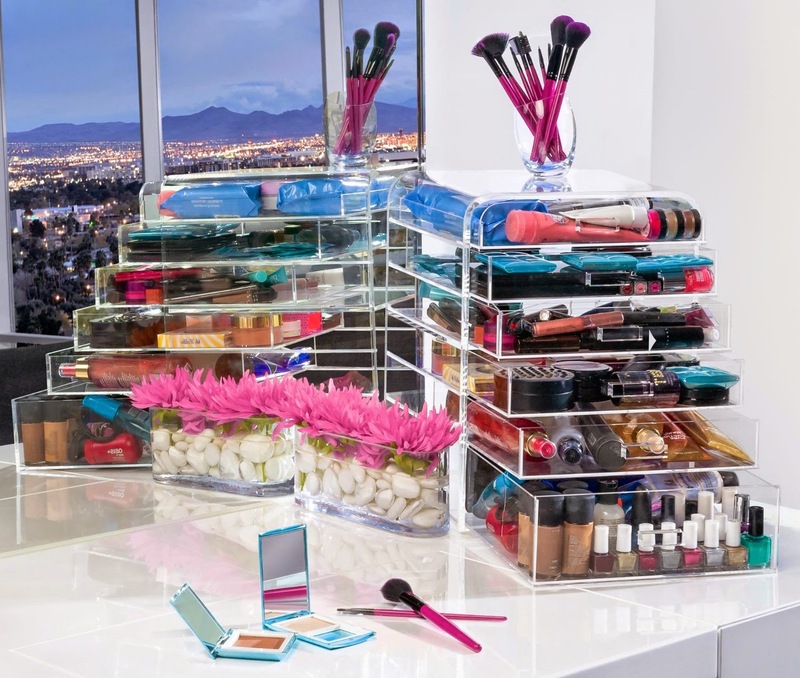 Alternately there's the eDiva Duchess Clear Acrylic Makeup Organizer w/ 5 Drawers priced at $198. Each with a 1 year warantee included and Free Shipping.